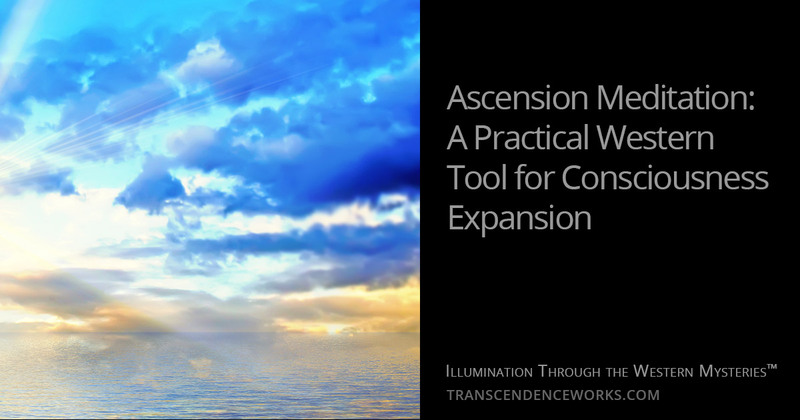 This Ascension meditation process, as it was taught to me, is a modality that synthesizes approaches that are typically either Eastern or Western into one efficient construct that harmonizes both in a way that destroys root stresses buried deeply in the psyche without having to analyze them to break them down. This form of meditation is particularly suited to the Western Mind. It does not require suppression of thought, but rather harnesses the natural thinking tendency of the lower mind and turns it inward on itself. This destruction of root stresses (which we all acquire over time) by the vibration of encapsulations of Divine Thoughts separates individual stresses (patterns, programs, complexes) and purifies them to purge whatever is not in alignment with the Divine Pattern. When The Movements Of The ABSOLUTE Are Actually Experienced Outside, Without The Body, Then The Obstruction Of Illumination Is Destroyed. I teach this meditation modality as an aspect of the Mysteries because it is a very powerful, immediately useful form of meditation in which I was initiated by the adept who cognized and brought forth the process from his own Inner Teacher. Prior to my initiation in this practice in 1997, all previous initiations he gave were done in fairly large groups; my initiation was the only solo initiation he ever gave and the last one he gave before passing from this world. As such, I am a steward of this teaching. The process speaks for itself when practiced as instructed. Belief is not required: The techniques function on the ascending dynamic of Praise, Gratitude, Love and Compassion. They are simple, deep, and powerful. These Ascension techniques are based upon the teachings of ancient Seers, but the techniques themselves are not in their writings themselves. Furthermore, these techniques are used differently from the way mantras are used in Eastern traditions… though they are based upon Divine Thoughts (Mahavakyas in Sanskrit) and as such when they are used they lead one directly into aspects of pure mind. Each technique moves the awareness in a different way. They work to eradicate correlating root stresses, and as they clear a shifting and expansion of consciousness occurs. Each technique is a channel into pure Source, and although the first level techniques are sufficient, those from each successive level of the teaching accelerate the process.